UPDATE – 5/9 @ 12:10 pm – APL Astro Event CANCELLED due to inclement weather. See http://www.nasa.gov/transit for great views! UPDATE – 5/9 @ 8:20 am Weather not looking good. You must be able to see distinct shadows for us to see an image of the sun through a solar telescope. There will be nothing to see if there are no distinct shadows. Monday is the next (and last until 2019*) Mercury Transit of the Sun! We will be well placed for viewing the entire thing – if only we had a full day to take off and observe it! The last time this event occurred was 10 years ago (November 2006). The current weather forecast for Monday is: Mostly sunny! High of 71! We have to have a clear view of the sun to view it through our special-purpose Solar telescopes (NEVER LOOK ANYWHERE NEAR THE SUN WITH A CONVENTIONAL TELESCOPE!). The transit will start at 7:12:19am EDT, and be fully underway (the entire disc of Mercury will be silhouetted against the Sun) within a few minutes, at 7:15:31am EDT. The midpoint of the transit will happen at 10:57:26am EDT. Finally, the finish to the transit will begin at 2:39:14pm EDT, when the outer edge of Mercury’s disc will touch the far edge of the Sun. The transit will wrap up a few minutes later when Mercury completely disappears from view at 2:42:26pm EDT. Based on volunteer availability, we expect to have the Lunt 60 mm H-alpha telescope set up on the lawn in front of Building 200 and the Coronado 40 mm H-alpha telescope set up on Central Green near the pergolas. Bldg 200 – once at the beginning of transit, a couple times during the middle/near lunch (around 11am and again around noon), and once at the end of transit. Solar viewing today by one of the Gazebos in Central Green (Tuesday, Sep 15, 2015) from around noon to around one pm. Come out and see a few sunspots along with some spicules and prominences if we are lucky! Bring a hat. We should have the Coronado PST and the Lunt H-Alpha set up. The weather is looking very cloudy on Tuesday. So I have CANCELED this solar observing party. HMH 11/19/12 4pm. Come view the Sun, our very own star, with the APL Astronomy Club. Count sunspots, see faculae and plages and maybe granulation and spicules, and compare the view through different kinds of equipment. Event will be canceled if the sky isn’t clear enough. Open to anyone on campus who is interested. Check here on Nov 20, 11 am, for a weather update. The skies are clear enough, so come on ’round! We’ll have 4 ‘scopes out. Check here on Oct 16, 11 am, for a weather update. Come view the Sun, our very own star, with the APL Astronomy Club. Count sunspots, see faculae and plages and maybe granulation and spicules, and compare the view through different kinds of equipment. In conjunction with the RBSP Teachers’ Workshop. Come view the Sun, our very own star, with the APL Astronomy Club. Count sunspots, see faculae and plages and maybe granulation and spicules, and compare the view through different kinds of equipment. If it’s too cloudy the event will be canceled. Check for a Weather Status Update on July 30th about 11 am. The weather will be OK for viewing (50-60% cloud cover) (June 5, 2 pm EDT; this is the final weather update). 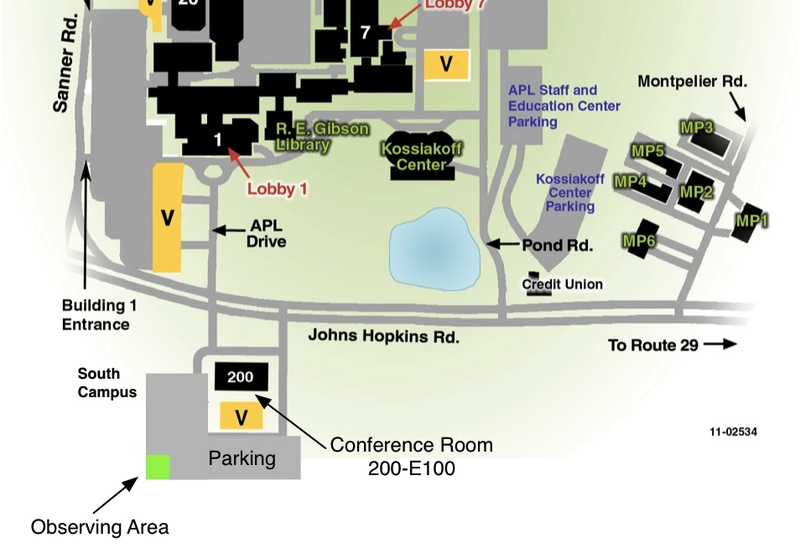 The APL Astronomy Club and the APL Space Department are hosting a Venus Transit Party on Tuesday, June 5th. APLers and their friends and families are invited. All activities are in public areas of the lab. Club members will have several telescopes out for your viewing pleasure, including 2 H-alpha ‘scopes and several large ‘scopes with white light filters. 4:30 pm in the building 200 lobby: Light refreshments available. 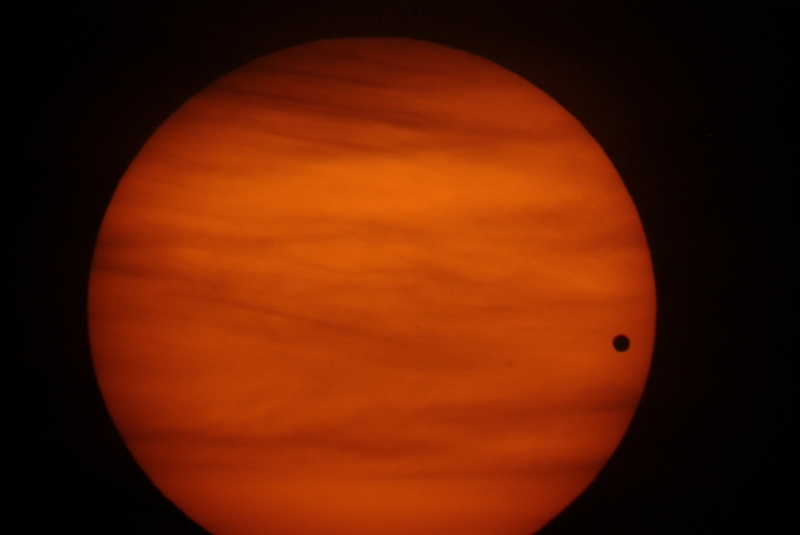 5 pm in Conference Room 200-E100: The Transit of Venus presented by club member Ron Farris. The talk will address the history and science of Venus transit observations, observing safety, and what to expect during the June 5th transit. 6 pm – 9 pm in the building 200 lobby and E100: Simulcasts of the transit from other observatories. Transit of Venus dot org: apps, history, education, stuff to buy, etc. etc. etc. How to safely observe the sun. What makes a safe solar filter?